A fresh new rig for kontrolling the kaos of MSA. 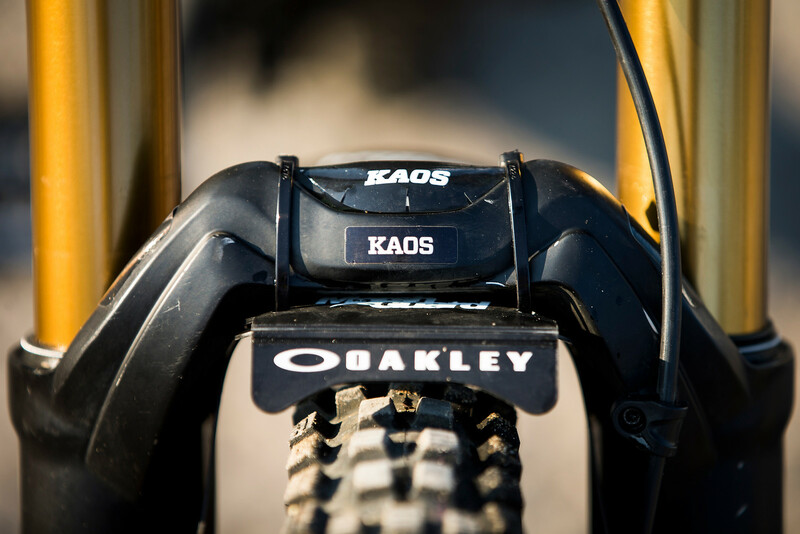 Tahnee Seagrave won in Leogang on a prototype, and now following the recent launch of the official version of the TR11, younger brother Kaos has been given one too. 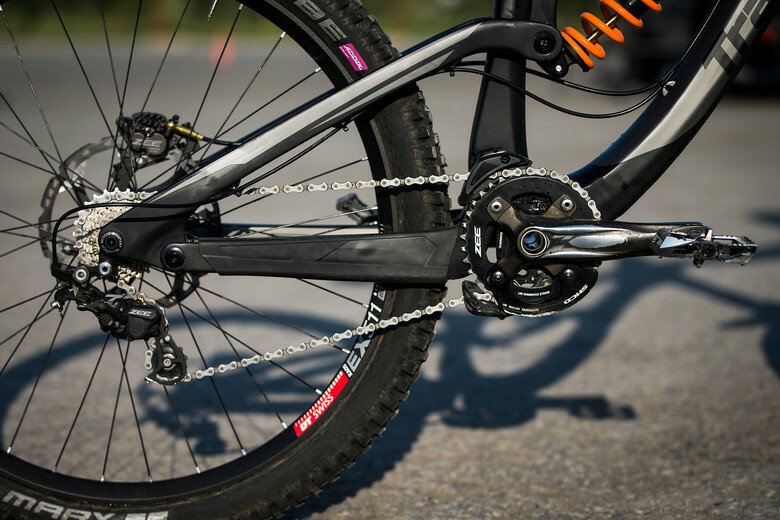 The carbon frame features 195mm of "Giddy Up" rear travel and a gnar-eating 63-degree head angle. FOX is on suspension duty with a Factory Float 40 and DHX2 combo, while Shimano takes care of transmission, braking, and cockpit. 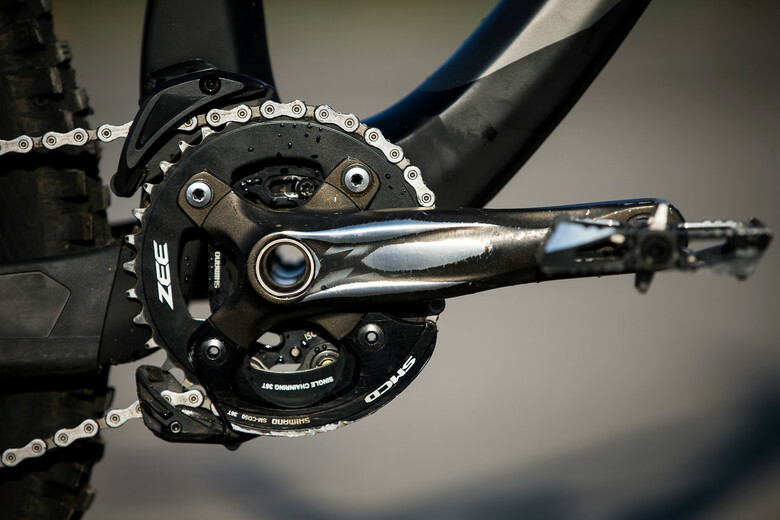 Note the Shimano Saint CD50 chain device with mini bashguard mounted on the chainring. DT Swiss EX511 rims paired with Schwalbe's Magic Mary featuring their new Addix compound help keep the rubber side down, at least under current track conditions, with Ergon supplying the saddle and grips. 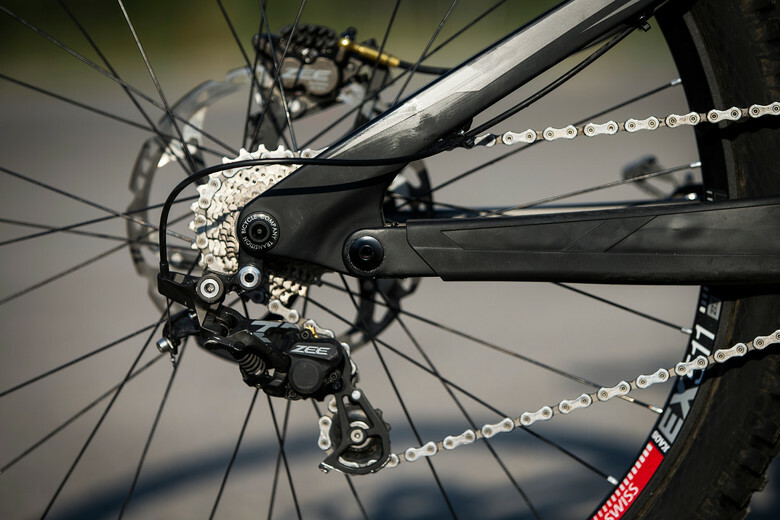 Kaos runs Crankbrothers Mallets clipless pedals. Kinda weird that he is running full Zee and not Saint. its crazy to see a top rider without the top end parts, hard to believe since the difference of price is small. looks like Zee and Saint are very similar. anyway she won it the new frame looks so light and the bike looks perfect. sorry did a confusion with Riders. Thannee is on Saint only kaos is on zee. Weird.